Here are some of the latest and cool social networks breaking news and social apps news! Read them all to stay updated with the latest changes, idea and future updates! Facebook updates the News Feed Ranking Algorithm: there are two new features to note regarding Facebook’s new news feed: Story Bumping and Last Actor. 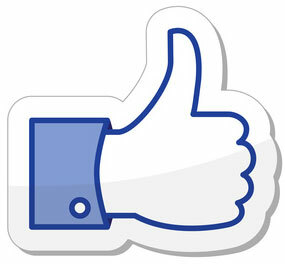 Both of these now ensure that Facebook users see more of the updates from the people they interact with. Messaging app WhatsApp started rolling out voice messaging to its app on Wednesday. Similar to voice messaging using Facebook Messenger, the new feature allows you to record a short audio clip and send it to a friend. To send a message, simply press on the record button. Once the button is released, the message is on its way. Now, Google is taking its new Google Maps overhaul just a bit further by adding local adds to the mobile Maps application for both iOS and Android. By doing this, Google will be able to generate revenue from a service that is in use on millions of devices across the United States and throughout the world. Facebook’s new advanced Graph Search feature is now available to all English-speaking users in the U.S., the social network said today. The announcement comes a month after Facebook first began rolling out Graph Search for everyone using the social network in U.S. English. Facebook’s new algorithms also display News Feed content based on how you interact with it, and which friends you interact with most. For example, if you Like a friend’s status one morning, then you are likely to see more of his content through the course of the day. If you ignored that post then his content would show up less often. I hope to have brought some good news to you, as they talk about new updates ready for you, and some updates lining up in next weeks!